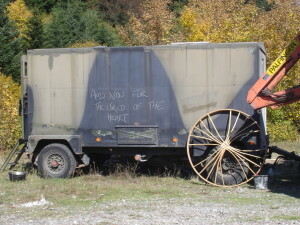 פירגון (firgun) is a an Hebrew term that means – giving someone credit, to speak highly of another person without any investment for yourself, telling of the worth of a third party individual. 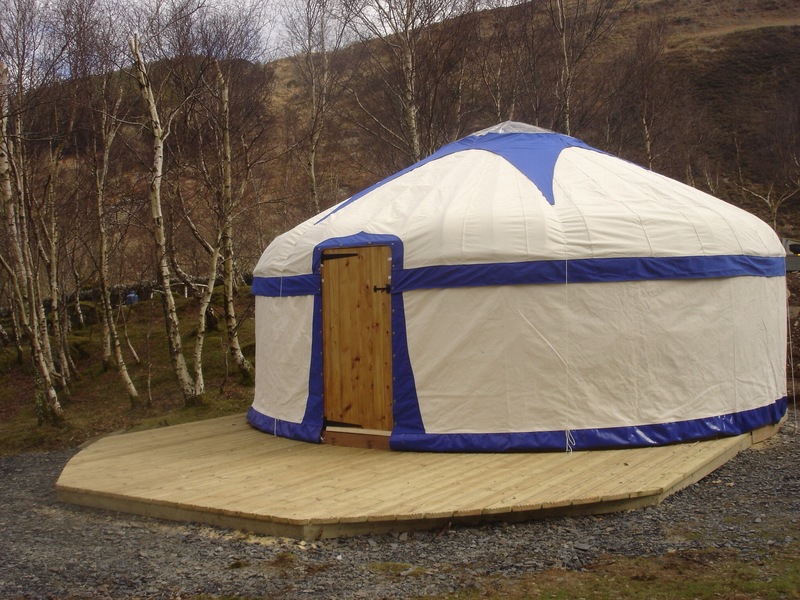 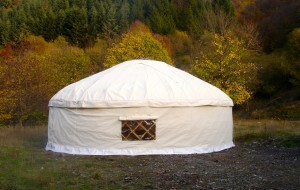 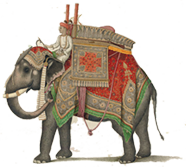 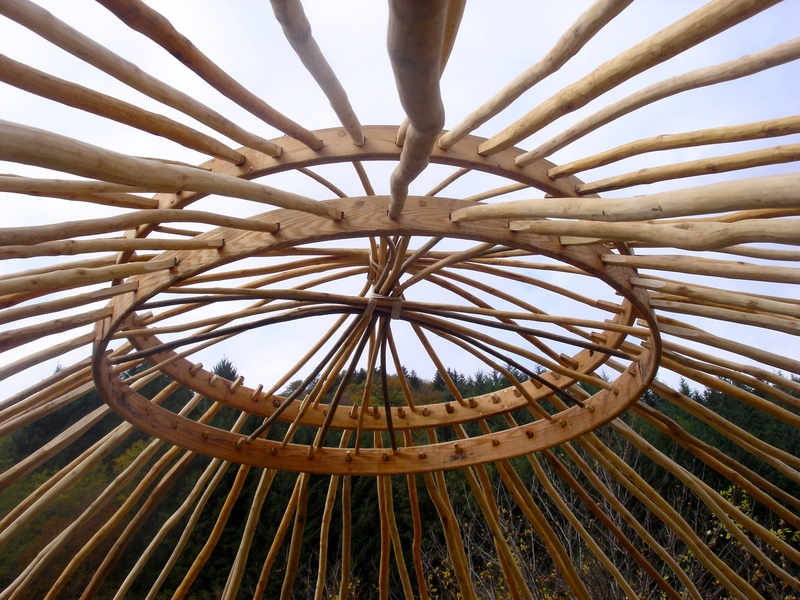 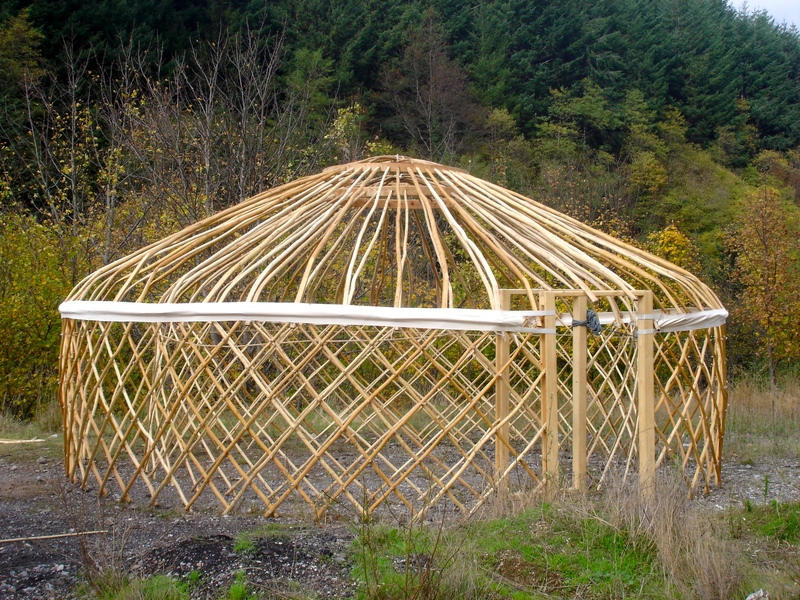 So in the firgun slot of today we would like to speak of another yurt maker we think highly of, Henry Dowell . 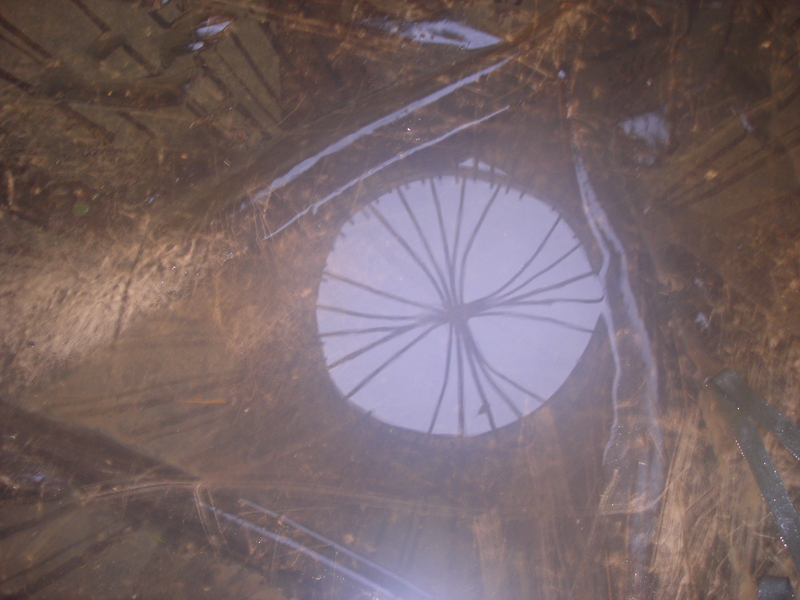 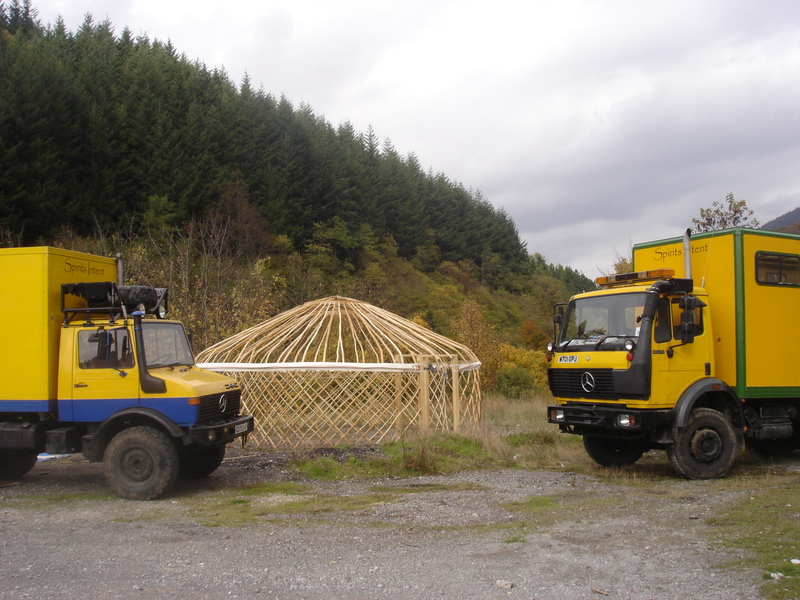 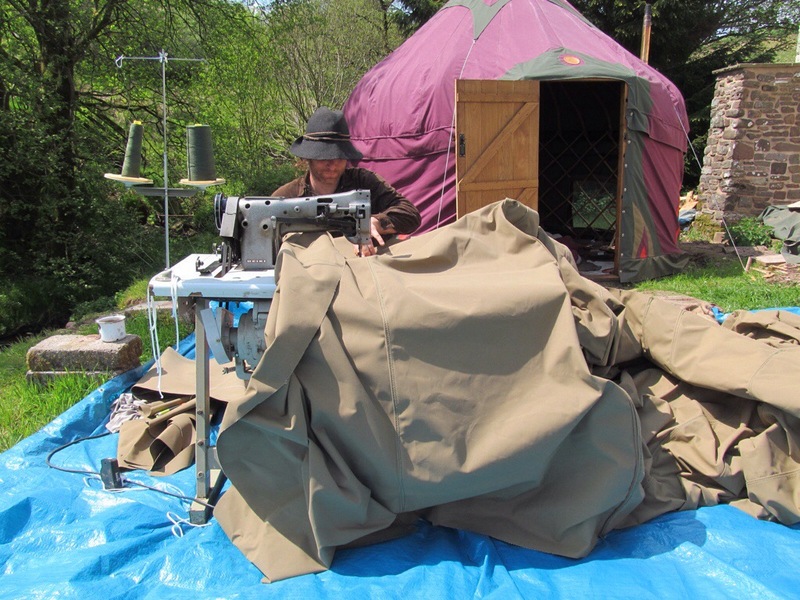 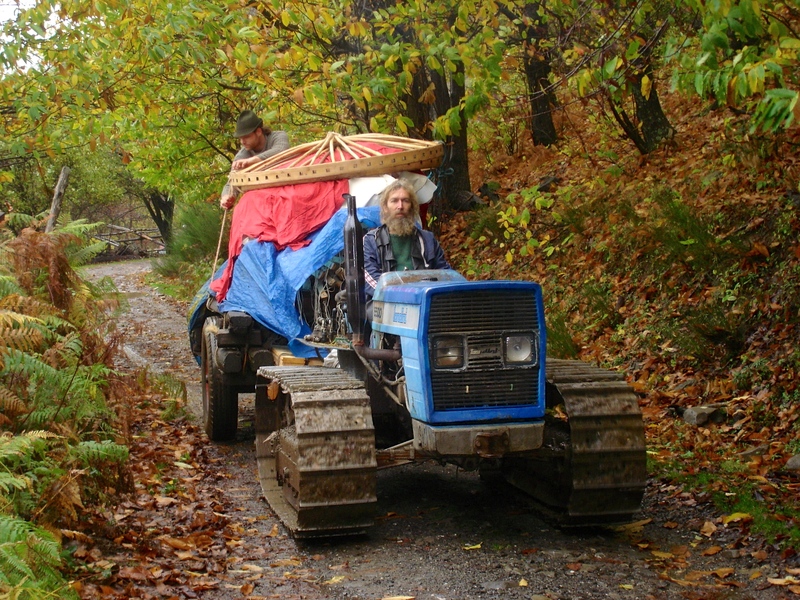 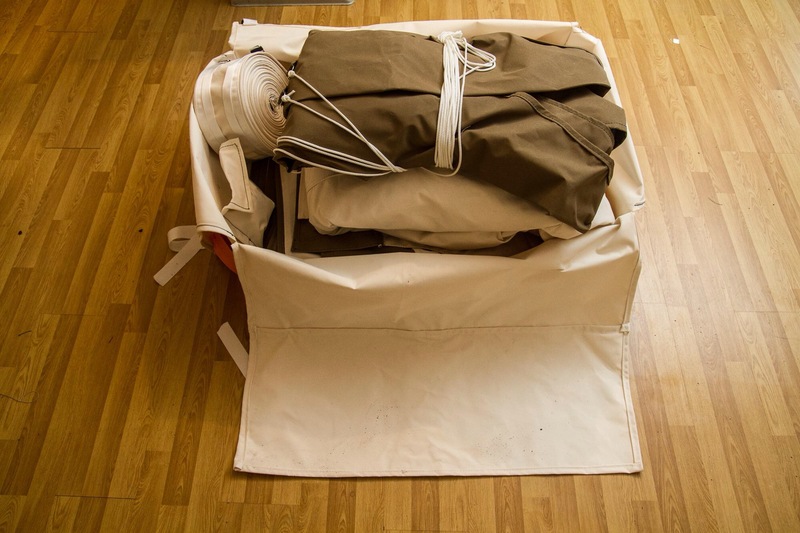 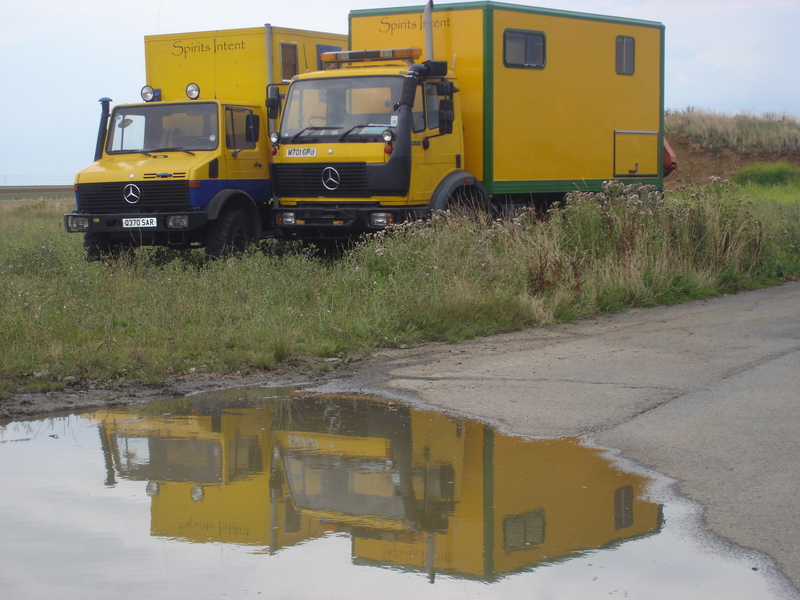 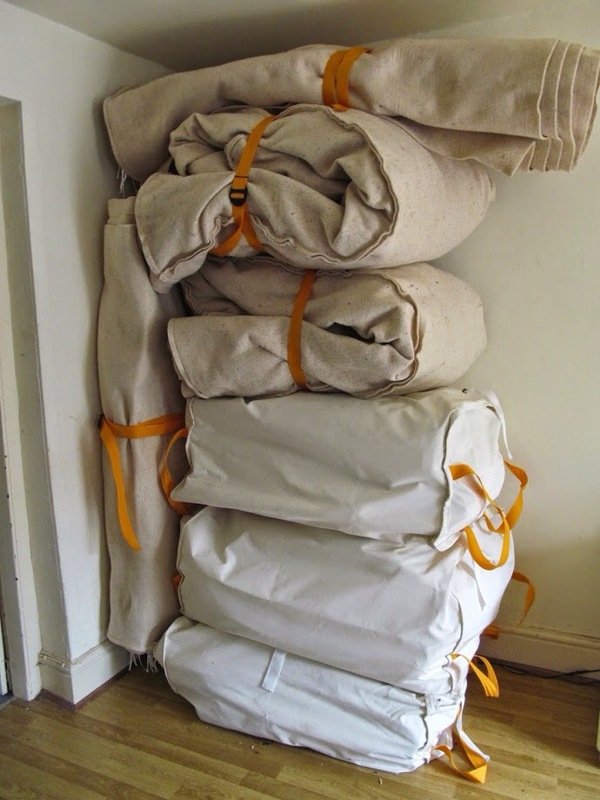 It was a several years ago….. we were contacted to make a cover for Henry, for a school yurt, soon later another followed when he bought another of our yurt covers, one that was a part of a job that went bad. 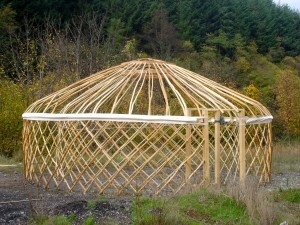 He made the frame to the cover measurements, which was very clever. 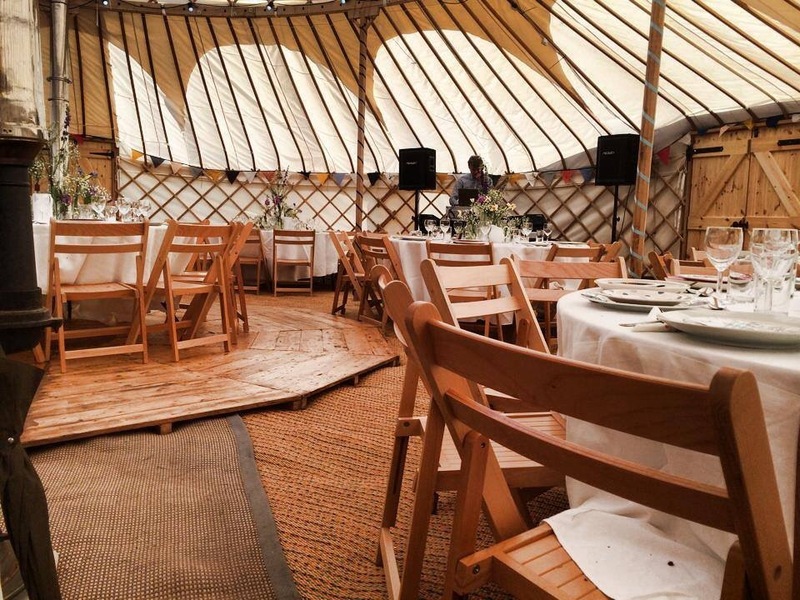 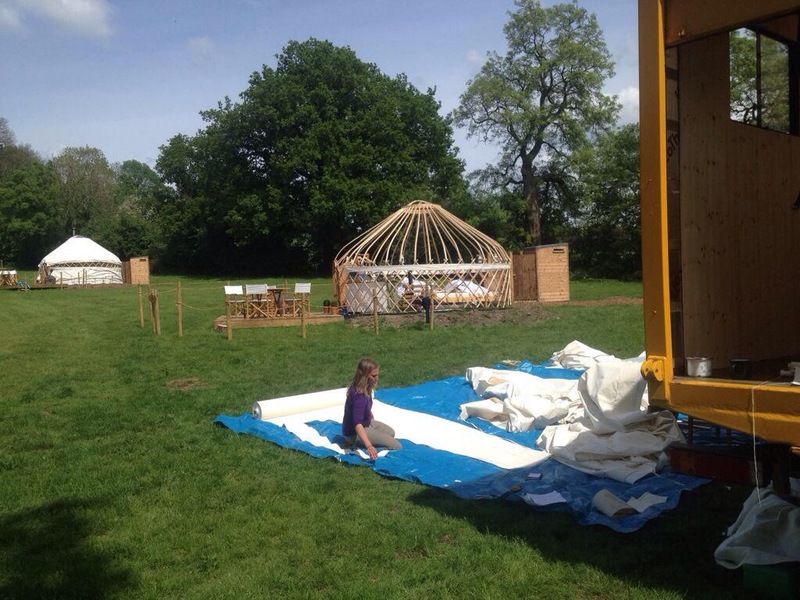 Few years have now passed and we have seen Henry becoming one of the most popular yurt makers in the country, his nice yurts are very reasonably priced, and he is easy to work with (I know not all of us yurt makers are like that, I mean easy to work with). 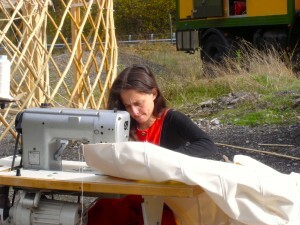 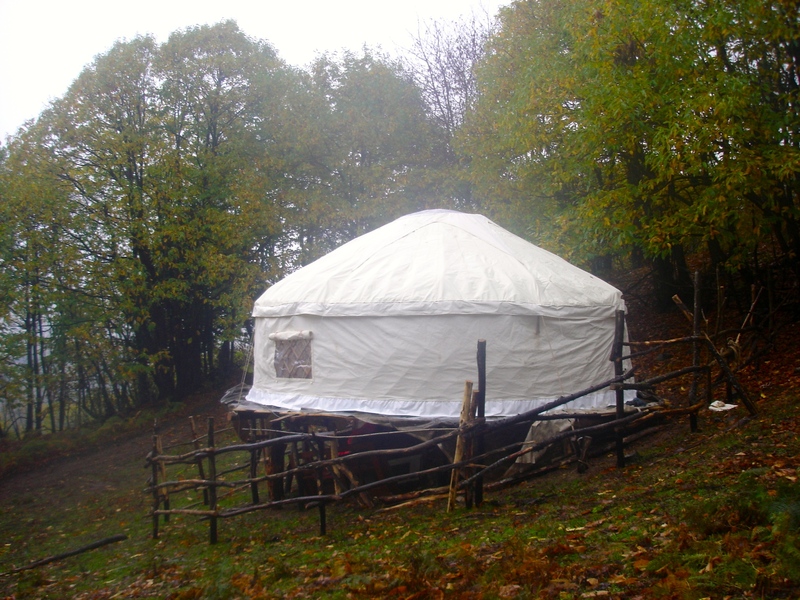 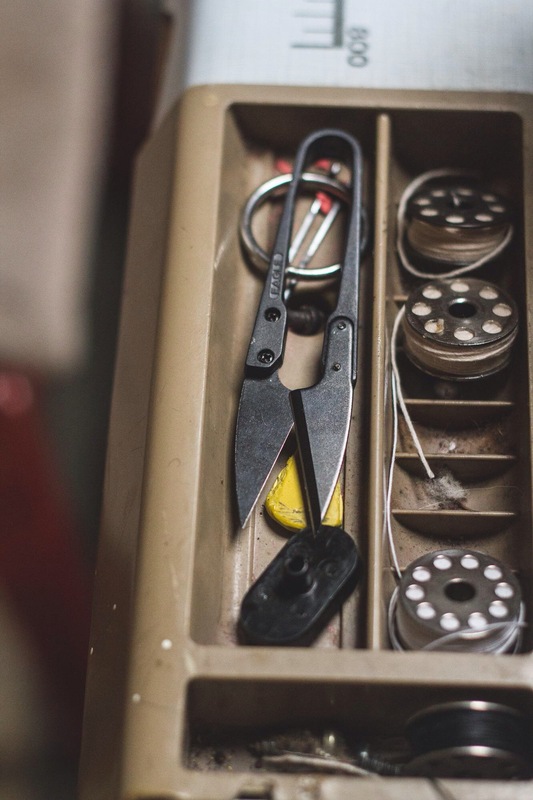 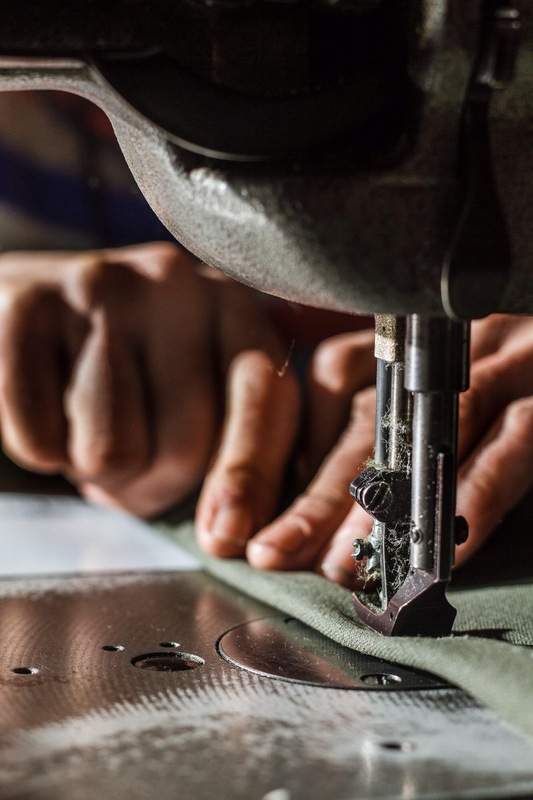 We have seen so many yurt makers come and go, partly due to the fact that yurt making is like hunting gathering, sometimes you have no orders, and sometimes you hunt for big game, a reality which led a few to diversify and hire yurts too, for those moments when the prey does not come near enough. 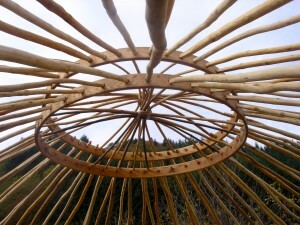 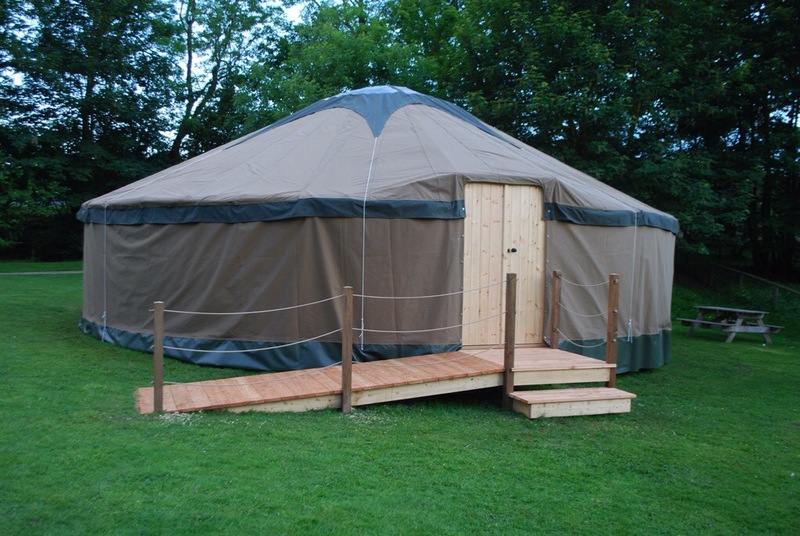 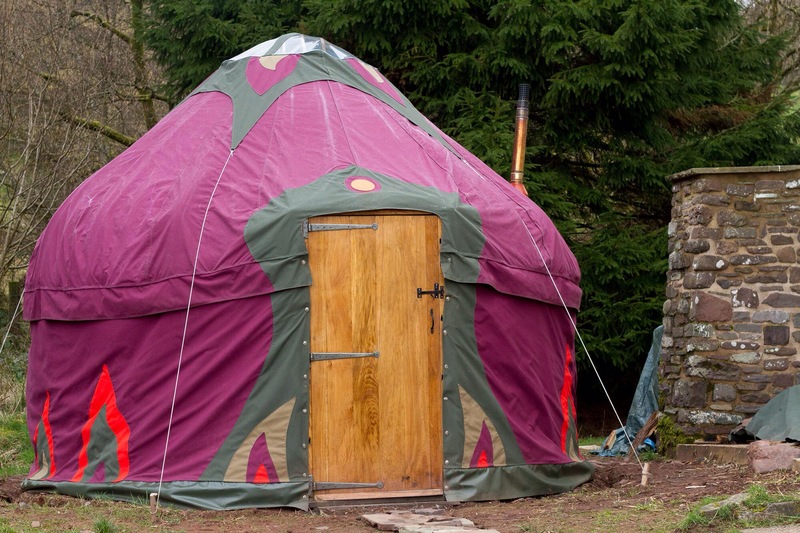 Here is an amazing hire yurt Henry just finished. 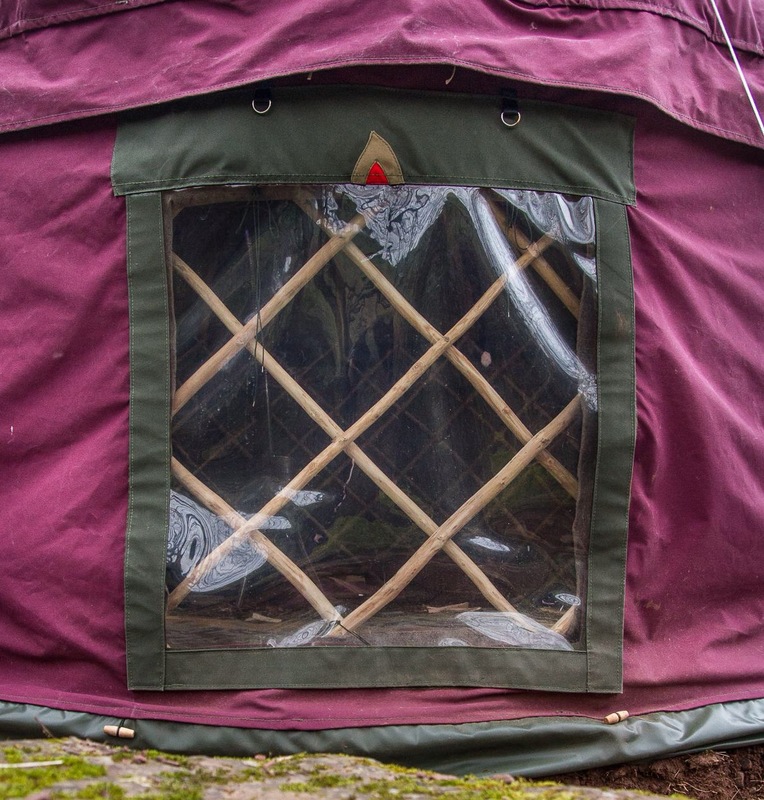 A really interesting yurt type we think, and that cute little upper storey trellis is adorable, with it’s mini doors (where the flu comes out of). 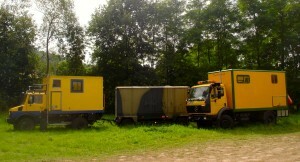 We feel like there is really not near enough of this type of פירגון (firgun) going on, the fact that there is not even an English equivalent sheds some doubtful light on the chances of it becoming a full scale activity in these parts, especially not amongst yurt makers, who tend only to their own yurt hunting. 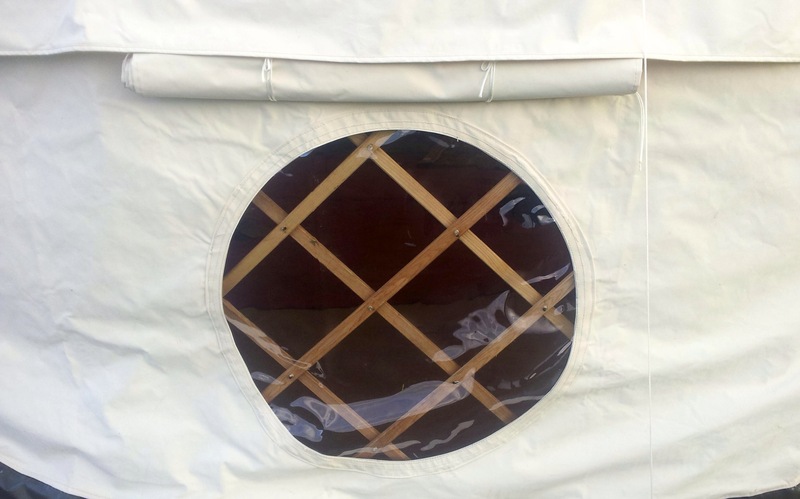 We recently finished a 32ft cover, for (the now famous) Henry, which actually gave birth to this blog entry before it became a Hebrew lesson. 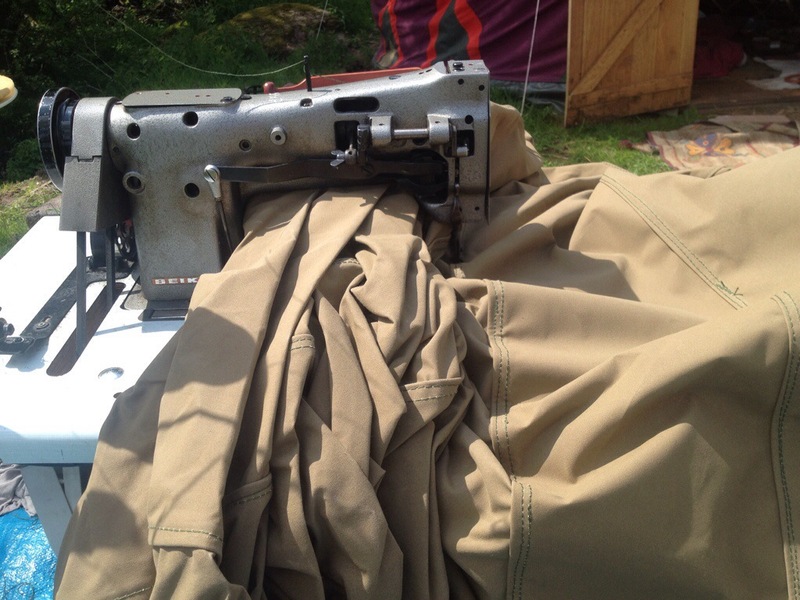 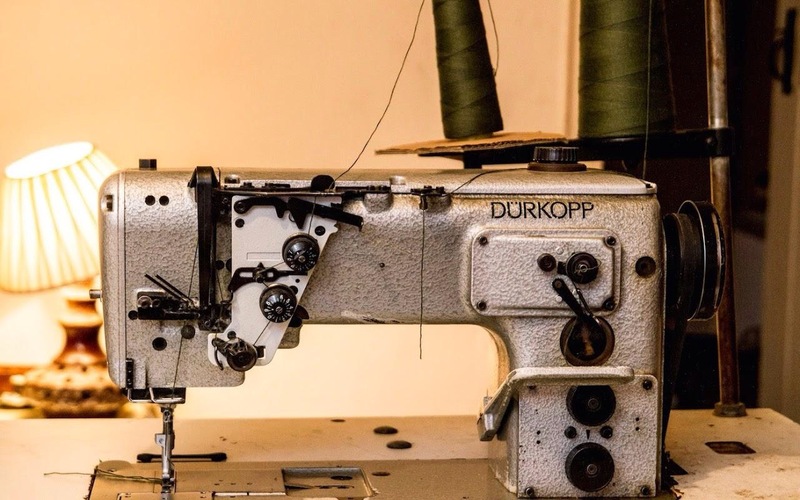 Here are a few pics of the cover making, as you can see the 32ft cover is a big thing, below you can see the joining seam, (this seam is when you have to feed the whole cover through the machine) It went through the machine like butter, so all the worry about trying to join such a big one and it not going through the machine was for naught. 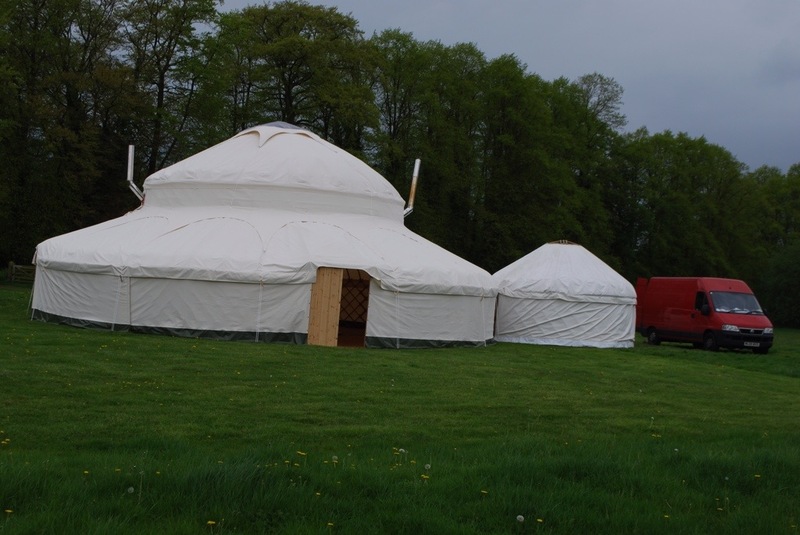 And finally if you follow the link you can see a movie of Henry putting this 32ft yurt up, amazing how quick he does it too!.